I am so excited that I signed up for the April A-to-Z Challenge! This is my very first challenge and I would be lying if I said I wasn’t a little nervous. I made my list about a month ago. I wasn’t sure what theme I was going to pick, but as I was jotting down ideas for each letter I started to see a theme form itself. My theme will be: Our Blended Family. I will be writing about all the different memories I have of our blended family and how I have personally dealt with the different obstacles that I over came. There are so many different situations I have been thrown in and how I came out on the other side, still baffles me. I can’t wait to share the memories I have from the past 6 years. I have grown in so many different ways, and I am proud of the woman I have become. Come take this journey with me! I can’t wait to read everyone’s posts during April! Good luck to everyone 🙂 Happy Blogging! Reblog: You know what this weekend is! It’s that time again!! I’m really excited about this weekend’s meet and greet! I have an ongoing list of ideas but this week’s idea was most unexpected and one of my favorites so far! Thank you, thank you, thank you, Lindsay for the Liebster Award nomination! Lindsay is over at Home, Hugs, and Huskies! Go check her out and say hello. She is a home schooling mama of 2 munchkins and 2 huskies in Cape Town! 2. What did you want to be when you were a child? I wanted to be a professional soccer player and a teacher, at the same time. I love the community and support everyone gives. I love being able to type out my feelings and emotions about topics that are important to me, and not feeling judged. 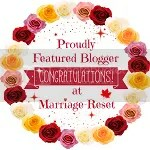 I love being able to connect with other bloggers and read their stories. How addicting it is! Haha. There are times I should be working on stuff for work or doing things around the house, but you will most likely catch me blogging in my favorite spot on the couch. My life experiences since I have become a stepmom! Every day it becomes easier and easier. That doesn’t mean I don’t hit speed bumps along the way like everyone else, but after almost 6 years, it isn’t so scary anymore. 6. What do you do to snap out of writer’s block? I will pour myself a glass of wine, grab my notepad, and start jotting down memories I have had with my family. That usually sparks some good stories. 7. What is your favourite book? Why? That’s a tough one because I love ALL books, and I love reading. If I had to pick, I would choose Jodi Picoult – Leaving Time. After reading it I had a greater appreciation for elephants, specifically elephants and their emotions. 8. Who was a hero in your life? Why? I don’t have a specific hero, but I would say my whole family has been a hero to me in my time of needs. Each of them have saved me in their own way, in just the way I needed them at that time. 9. If money was no object, what would you be doing? 10. If you were a dog, which breed would you be? Why? What was the last movie you saw and did you like it? If you needed a pick-me-up what song would you turn on to cheer you up? What are some things you’ve crossed off your bucket list so far? If you could meet any blogger in real life, who would you choose? If you were stuck on an island, and could pick one person to be stuck with. Who would you pick and why? Thanks again, Lindsay! I really enjoyed this fun award! Happy Friday! Come join the party over at Dream Big! Danny is a very talented writer and blogger, and is always so kind to host these Meet and Greets! I really should be, but I’m taking a break right now. Catching my breath before our vacation begins. Wow. That was awesome. That was an amazing feeling. In that moment everything hit me. This is why I write. This is why I am a stepmom. I do this for THIS feeling right here. The feeling of TRUE appreciation and love. Before we all start this A-Z Challenge, remember who you write for. Remember why you started this journey of blogging, and don’t let anything effect what YOU want to write about. I truly believe blogging with passion is the best way to blog! I can’t wait to read everyone’s alphabet and see where this journey takes us! Happy Friday, Everyone! When I was 16 I use to go to the tanning salon every other day after school and before my soccer games. I have no idea why I would do it, but I did. Most likely it was because the other soccer girls were going too. Skip 12 years later and I can tell you that you won’t catch me at a tanning salon, like ever…or so I thought. Since we are going on vacation next week, I was talking with some of my girlfriends about how I wish I didn’t have to work on a base tan for 5 days before I get color on vacation. Both C and L looked at me like I was crazy and said “Go to the tanning salon before you go, get a base tan there and you won’t have to worry about burning when you’re gone.” Easy fix in their eyes. I told them my worries and how I didn’t want to burn, and how I burn easily. “Just go for a few minutes” they said. So off to the tanning salon I went. I walked in, told the very bronze skinned lady I was new, I was headed somewhere hot next week and wanted a base tan. I made it VERY clear that I burn easily. I think I mentioned that at LEAST five times. She told me she had the perfect bed for me. I bought some sample lotion and headed to the room. I was in the tanning bed for a total of 5 minutes. It is a 15 minute max bed. “5 minutes shouldn’t be bad at all.” the bronze skinned lady said. “You won’t burn at all.” she said. “These beds are great for fair skin people.” she said. My whole back is fried. Burnt. Red. On fire. So now I sit here, in my winter clothes because it’s still cold where I live….BURNT. The munchkins just don’t understand HOW I got burnt, or why I would do that to myself. I guess I’m wondering the same thing. Looks like I learned my lesson, and I will leave the tanning beds to C and L. Hopefully this burn will turn into a tan LOL but I think that’s some extreme wishful thinking. Damn you tanning bed, damn you. Social Media is All Set! Not the Average Mama has a Twitter account, Facebook Page, and Pinterest page! Give it a like, follow, tweet, or pin! Spread the word, give this a share/reblog! Getting all my social media pages set up before the A-to-Z Challenge was a must, and I’m happy to say that it is now done! I cannot wait for Spring Break vacation coming up! I love taking long car rides. I especially love long car rides with my hubby and two munchkins. To recap for everyone and new followers, I am a 28 year old wife and stepmom. I have been a stepmom for almost 6 years and have been apart of the munchkins lives since they were 18 months and 2 years old. We have the munchkins half of the week and the other half they are with their mom and step dad. It takes us about two days to get to our tropical destination. We make random and spontaneous stops on our way which are my favorite parts of the trip. We might hike through the mountains or climb to the highest point where you can see 5 states from one view point. Whatever it is, everyone has a blast. Traveling with younger children usually freaks most people out, but I honestly believe it’s all about your attitude. About a month before we leave I usually start to talk about our upcoming vacation. This will usually spark the kids interest and we will talk about things we would like to do, things they enjoyed last time or places we would like to stop this trip. Since they’ve got older, their ideas are becoming pretty legit ideas — haha. They want to do kayaking in salt water, day cruise to an island for lunch, and lots and lots of fishing! I’m getting so excited just typing this! No matter what we do, I love the time the four of us get to spend together. 10 whole days of fun, family, and love. Every year this trip brings us closer together. We have our ups and downs, but at the end of the trip all we remember are the ups, and those are the memories we each will treasure forever.